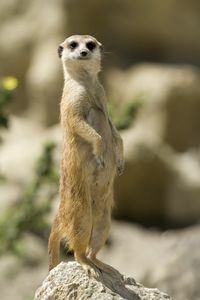 ‘Ella: A Meerkat's Tale' is a special documentary, featuring the eventful life of a two-year old female meerkat named Ella. Young Ella faces isolation from her family after breaking the rules by having pups, a right exclusive to her mother, Flower. If Ella is to raise her three pups and survive the dangers of the Kalahari Desert, she is going to need all her strength and courage to stand up against her violent mother.